We’ll warn you in advance: if you’re squeamish, you probably don’t want to watch the video below, especially right after lunch. 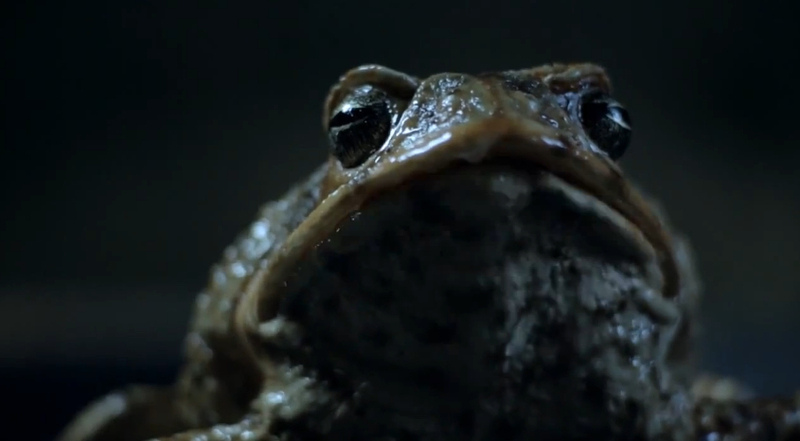 If the thought of car-on-frog violence doesn’t disturb you, the video below (found on Autoblog) is a well-played ad for the new Australian Ford Falcon EcoBoost, which is a front-engine, rear-drive family of full-size cars that we don’t get to see on this side of the planet. And before we get spam-bombed by PETA, let us just say that no actual cane toads (much less talking cane toads) were harmed in the filming of this commercial. We don’t condone running over wildlife, even if it is considered a nuisance that poses a threat to other wildlife in your part of the world. Get past the exploding toad, and there’s a valuable lesson to be learned here: never underestimate your opponent, especially when you’re distracted by a friend licking secretions from his parotoid gland.